An elegant table arrangement for the grandest moment of one's life. Suitable for dining tables, reception or cocktail areas. 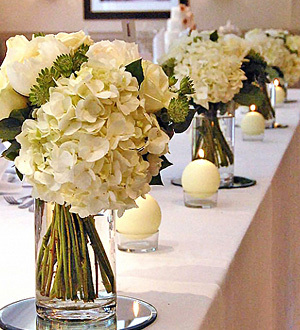 White Hydrangea, 12 stalks Cream Roses, Green Berries and matching foliage in Glass Vase.